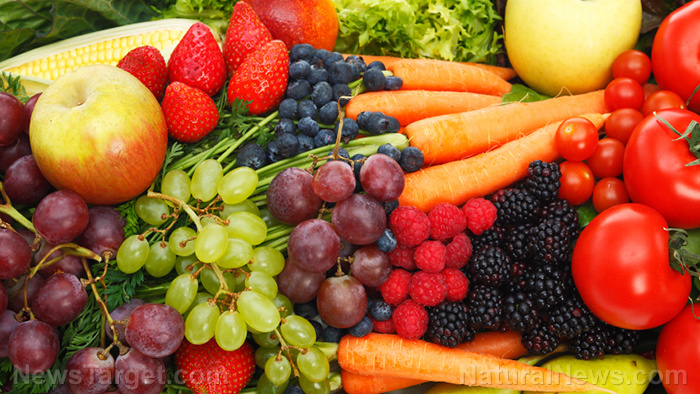 (Natural News) Research has shown that antioxidants help keep the immune system healthy, preventing serious diseases like cancer. Now, a new study review has shown that antioxidants are especially potent against kidney cancer. The review of studies, which was published in the American Association for Cancer Research (AACR), found that eating plenty of antioxidant-rich foods like fruits and vegetables cuts the risk of kidney cancer by as much as 32 percent. Blackberries: Blackberries are particularly rich in the antioxidants polyphenols and vitamin C. Blackberries have been associated with a slower decline of cognitive and motor skills with aging. Pecans: Eating a handful of pecans can improve your health significantly. These nuts can help lower your cholesterol. They are also rich in manganese, which is known for its age-defying antioxidant properties that help keep the skin firm. Pecans also contribute to prostate health because of its beta-sitosterol content. Cranberries: Consuming cranberries can help reduce inflammation, increase high-density lipoprotein (HDL) cholesterol, and strengthen the immune system. Cranberries are also rich in the unique form of antioxidant called proanthocyanidins (PAC), which prevent E. coli and other bacteria from sticking to the bladder walls, preventing the development of urinary tract infections (UTIs). Walnuts: Eating walnuts can give you protein, manganese, fiber, and heart-healthy unsaturated fats. Strawberries: Strawberries are rich in vitamin C and other skin-friendly antioxidants that help heal the skin from the damage caused by UV rays and pollution. Eating strawberries can also keep the heart healthy due to the fruit’s folate content. Artichoke hearts: Artichokes, which contain the highest amounts of antioxidants out of all vegetables, can boost energy and enhance heart and liver health. Blueberries: Blueberries are especially rich in anthocyanins, which help prevent the growth of cancer cells. The vitamins C and K, and manganese found in blueberries also prevent heart disease and age-related memory loss. Dark chocolate: Most of the benefits of dark chocolate come from its antioxidant called flavonols, which help lower blood pressure and lower diabetes risk. Cherries: Cherries, like blueberries, are rich in anthocyanins that reduce inflammation and lower cholesterol. Raspberries: Like other berries, raspberries help fight inflammation. Raspberries are particularly rich in ellagitannins which help fight cancer. Read more news stories and studies on antioxidant’s health benefits by going to Antioxidants.news.